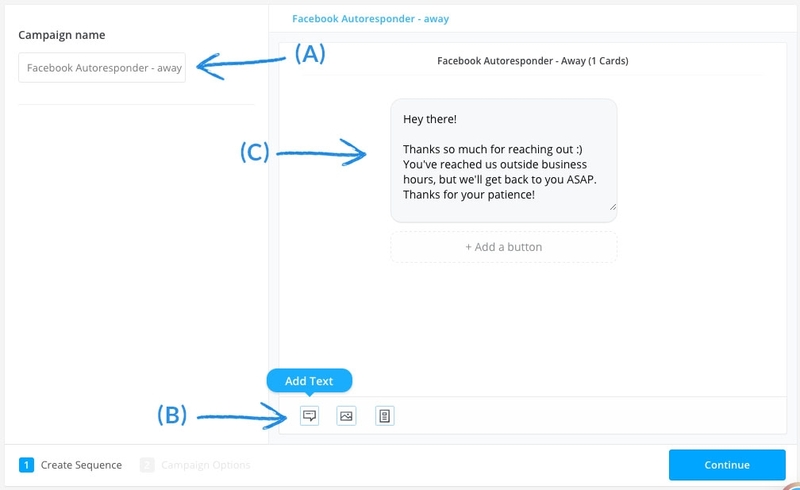 What you're looking for with a Facebook Messenger Autoresponder is a simple way to automate a response when your customers message you (like us :) ). Below you'll read about how to get this setup in 3 easy steps using Modern. 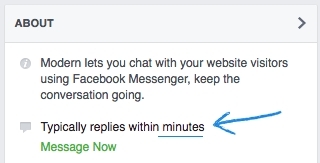 All of these will help you win a reputation with your customers in this quickly evolving landscape where Facebook continues to put a larger emphasis on Messenger. Your goal is to stay ahead of the competition and make sure you setup these smart automations before your competitors do! 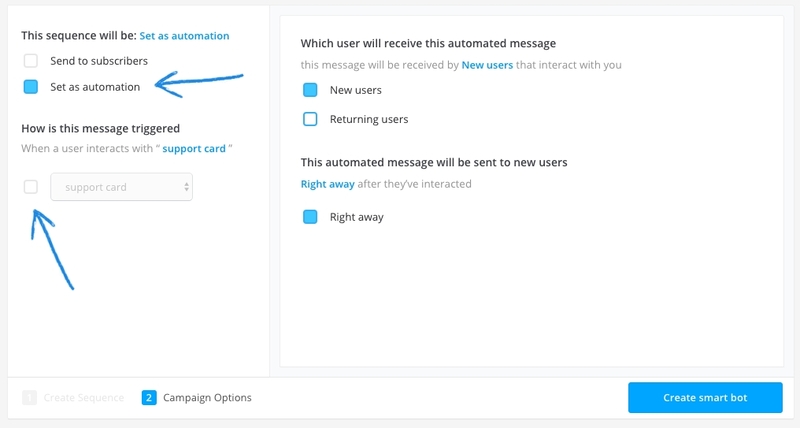 Once you've setup your automated response, select "Set as automation", remove the "triggered by card" and select the New / Returning users and when you'd like to send it. Others that you setup may help as well, but make sure you setup at least these 3. 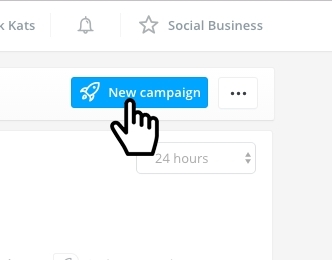 If you haven't created an account yet, get started with Moderntoday! We look forward to helping you achieve your goals, feel free to check out our other blogs as well!